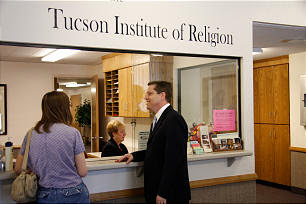 After four years of attendance and participation, David recently graduated from an LDS Institute of Religion. The odd thing is: David's not Mormon, never has been, and may never be. He is, in fact, a committed Evangelical, and a PhD student in Molecular Biology. Ben Spackman, one of his Institute teachers, asked him about his inter-religious experience.